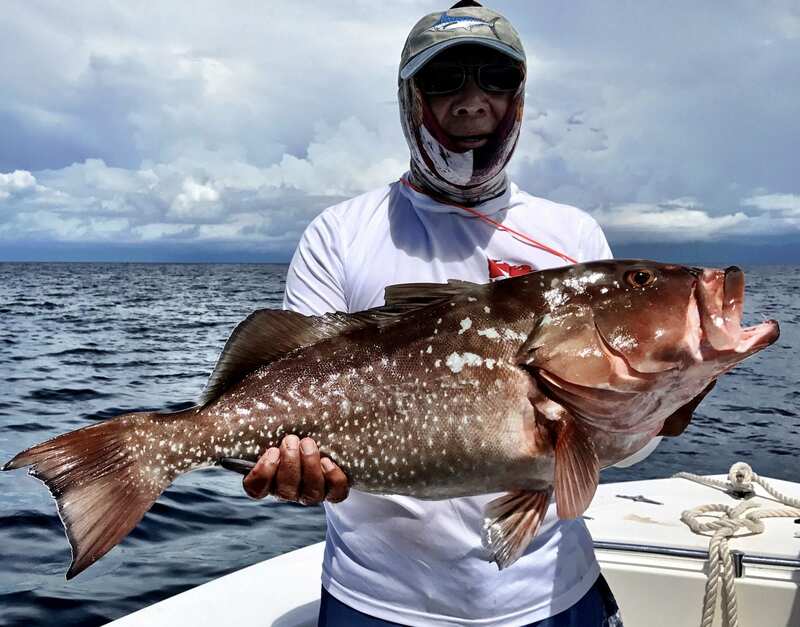 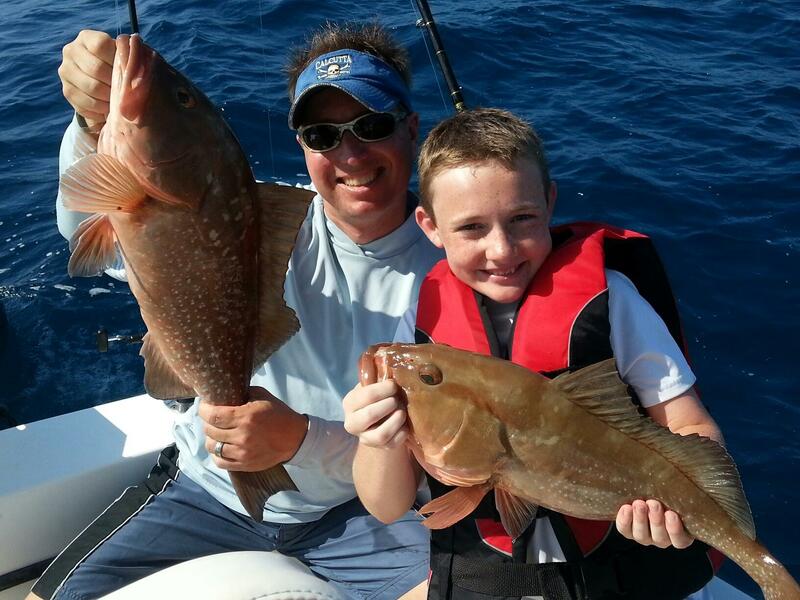 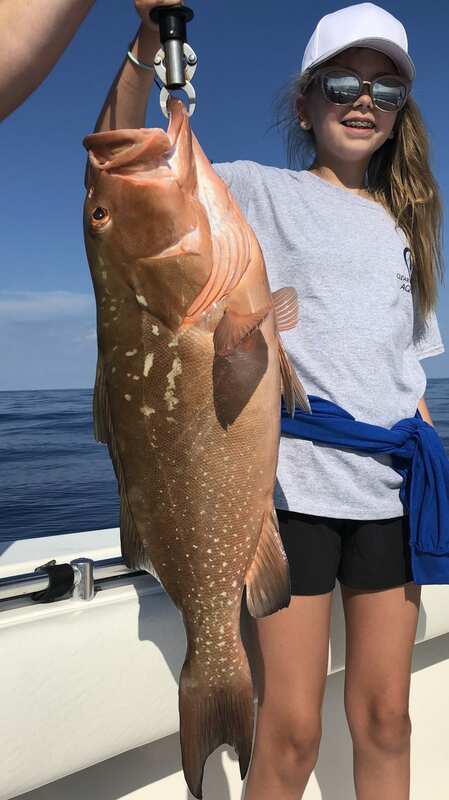 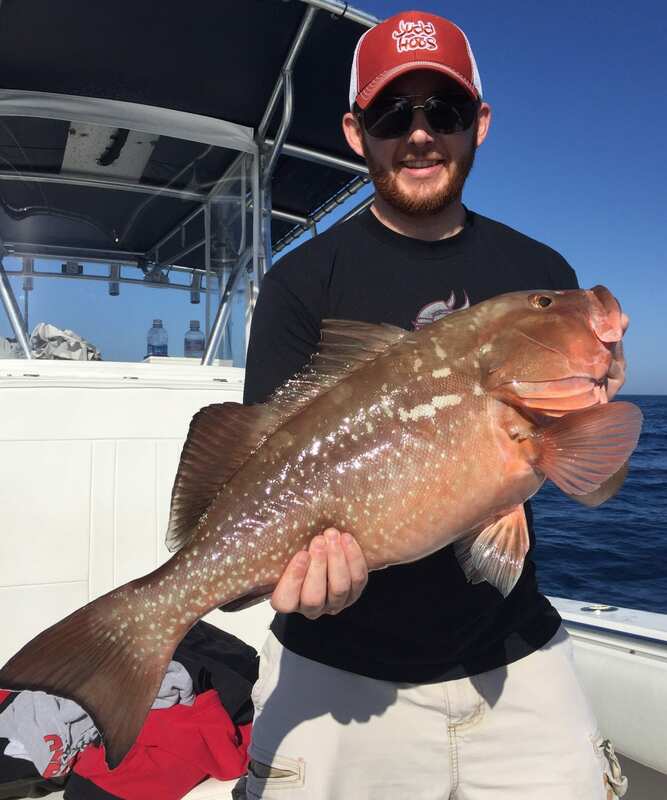 The Red Grouper is one of the most common by-catch during deep sea charters. 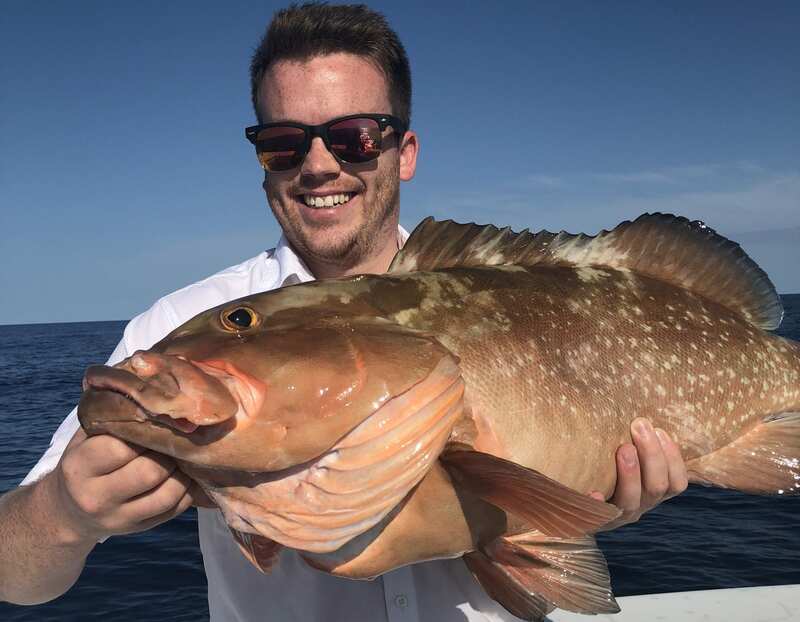 The reason is that they tend to prefer any type of bottom and don’t seem to be overly picky about what they stuff into their mouth. 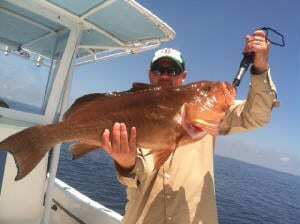 We will target the red’s from time to time, but mostly when all other species are closed to harvest. 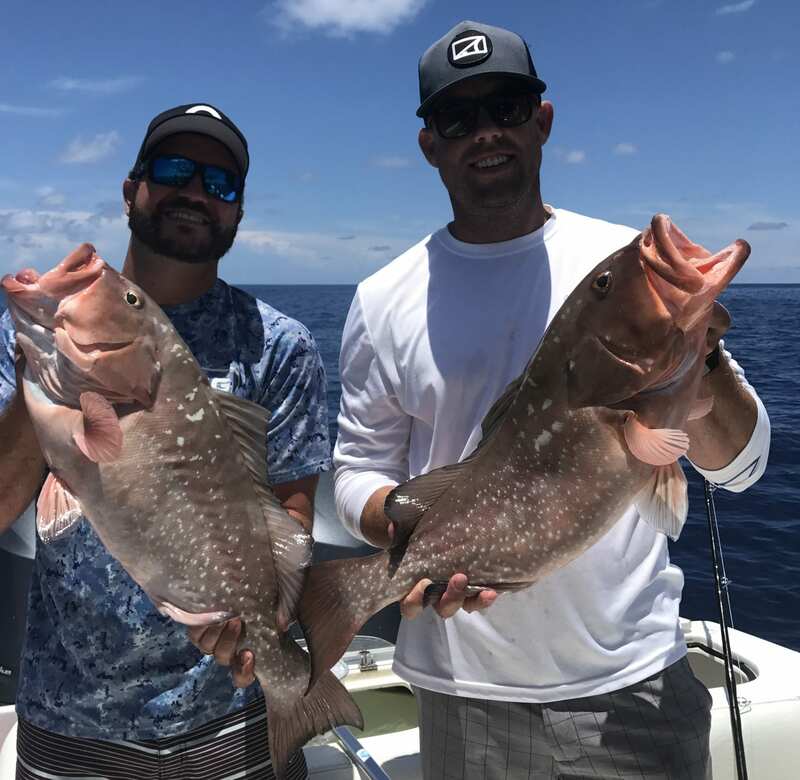 Typically we end up getting a good amount of keepers throughout the day while targeting Gag Grouper and Amberjack. 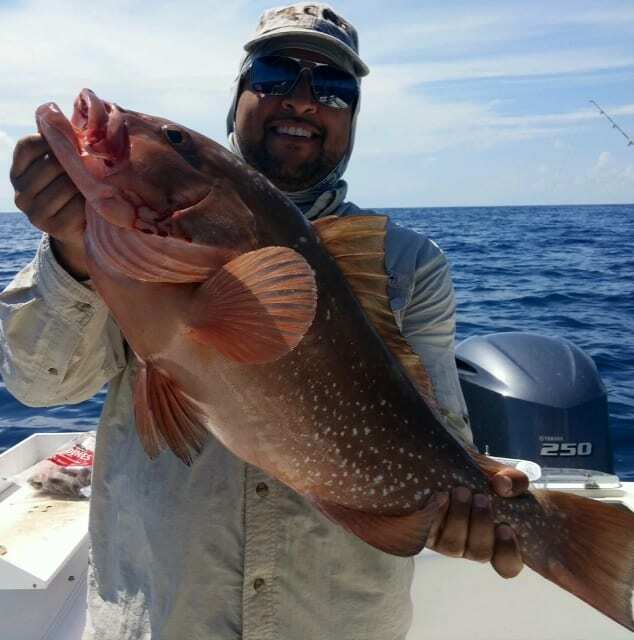 With all this being said, the Red Grouper is still good table fair and is worth keeping. 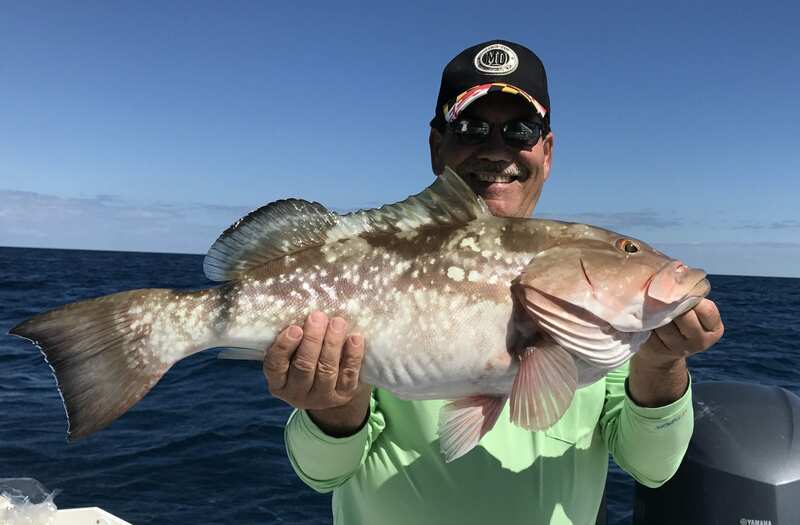 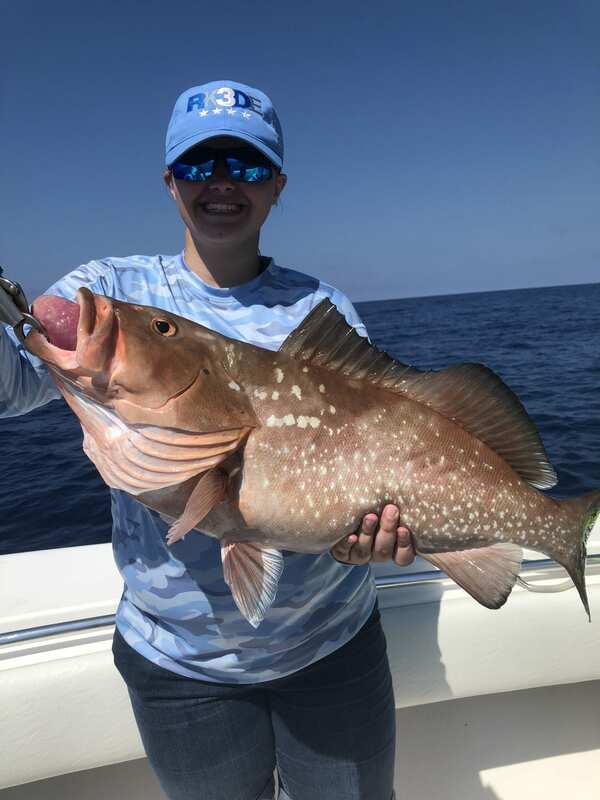 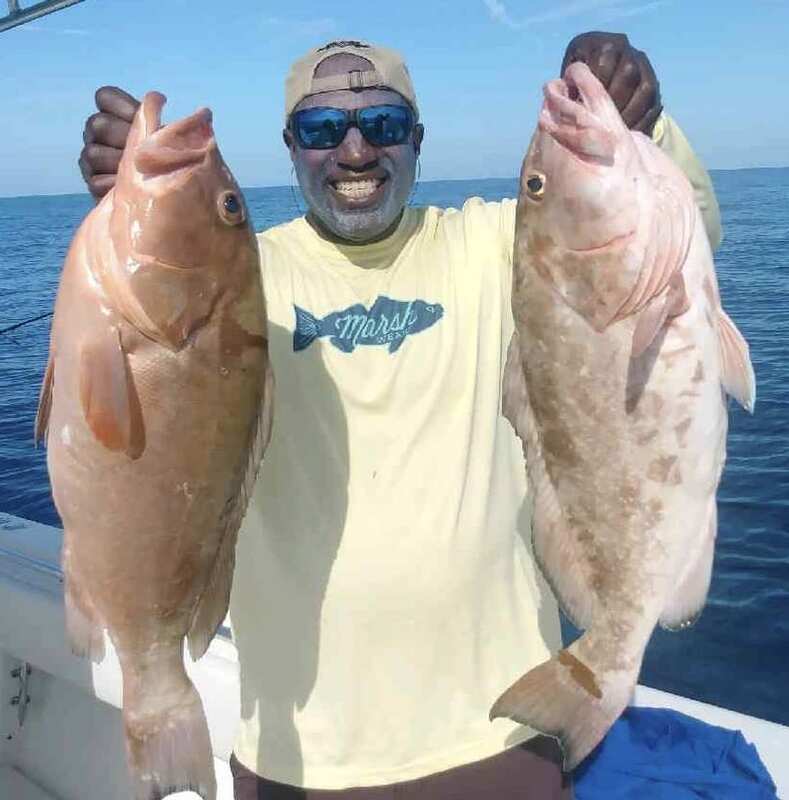 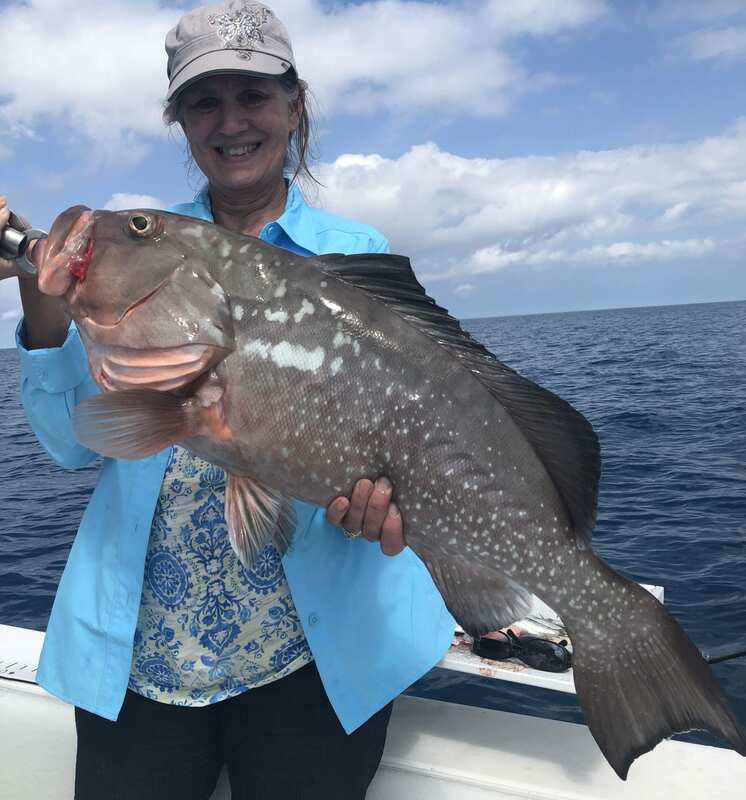 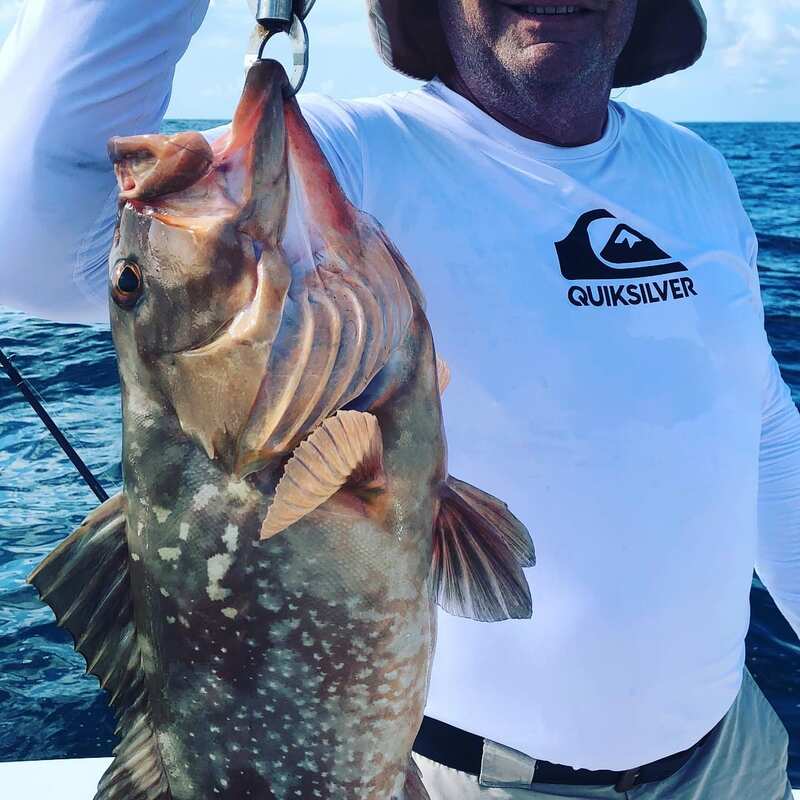 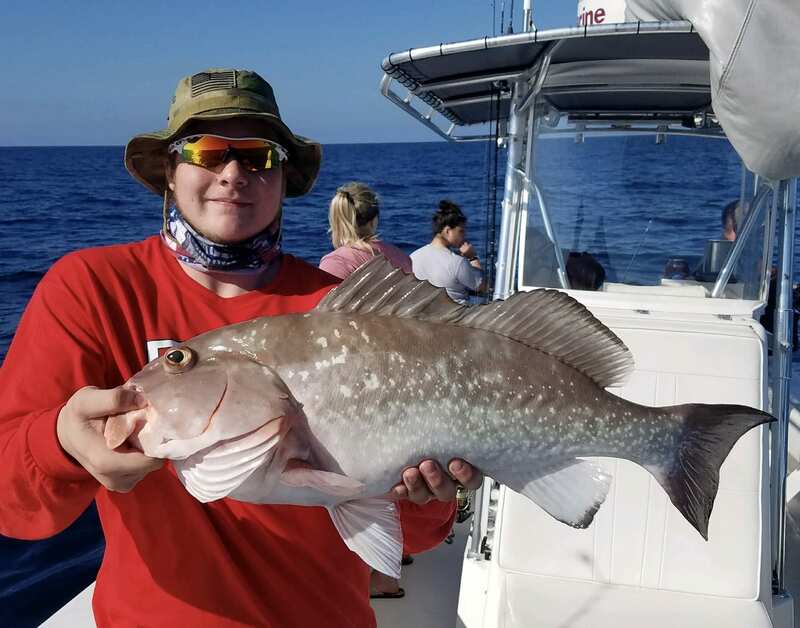 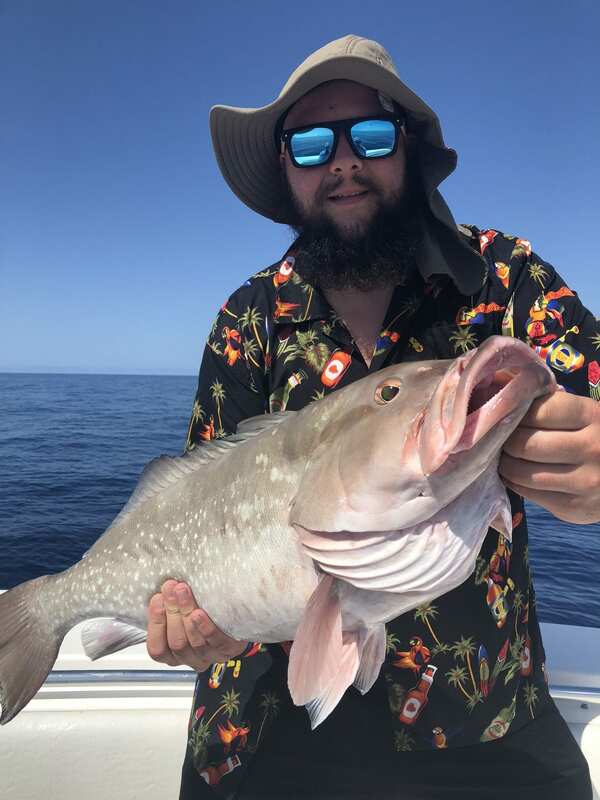 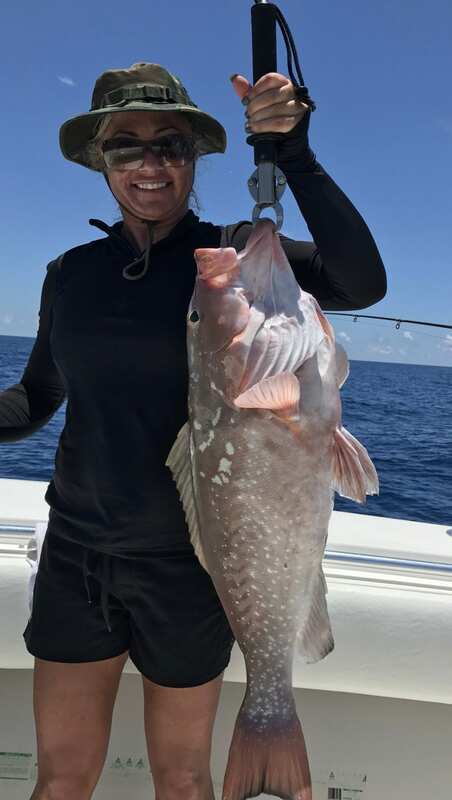 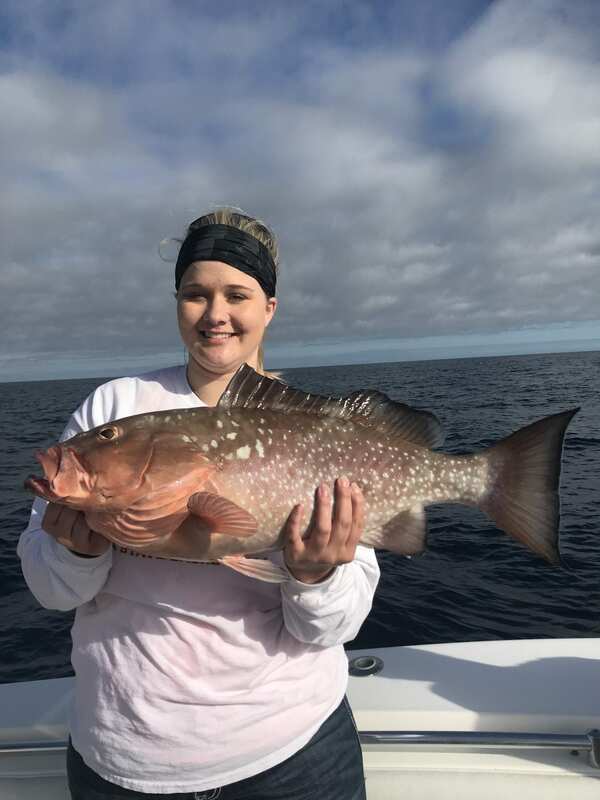 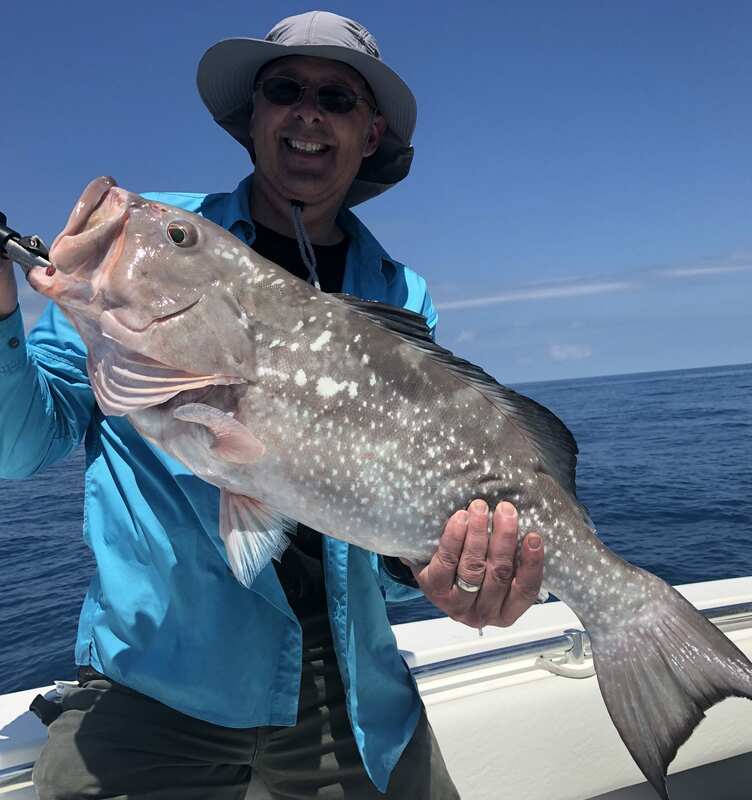 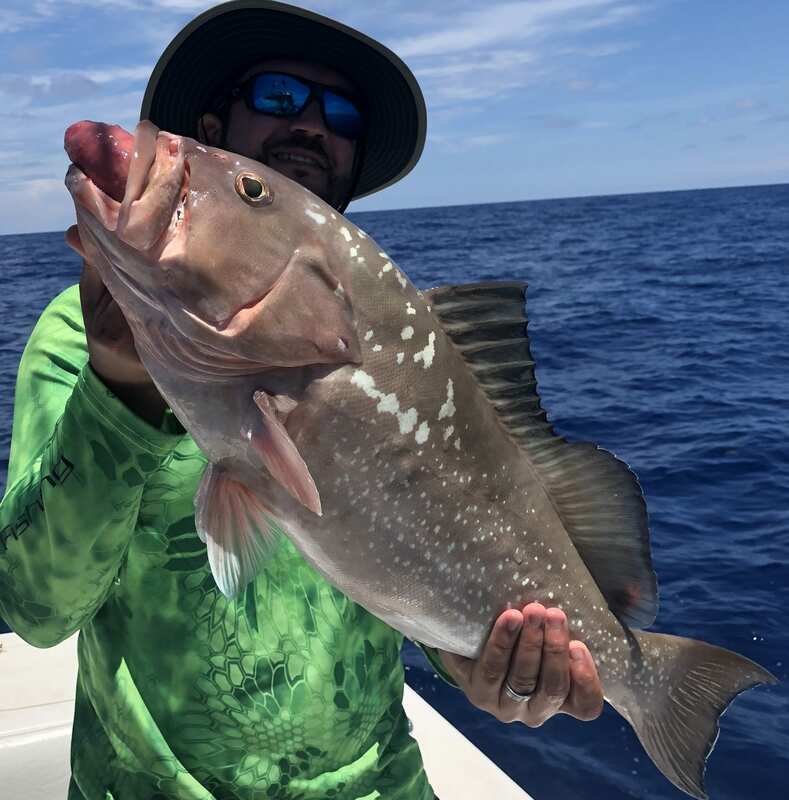 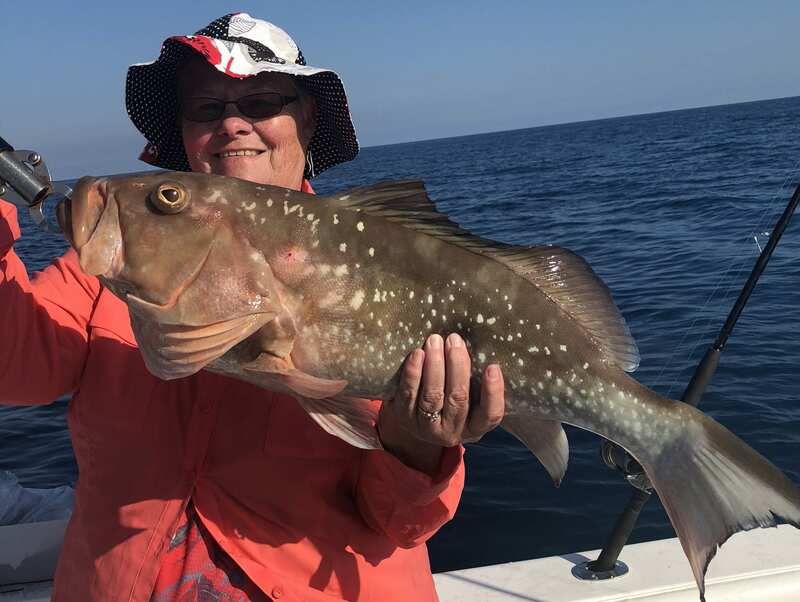 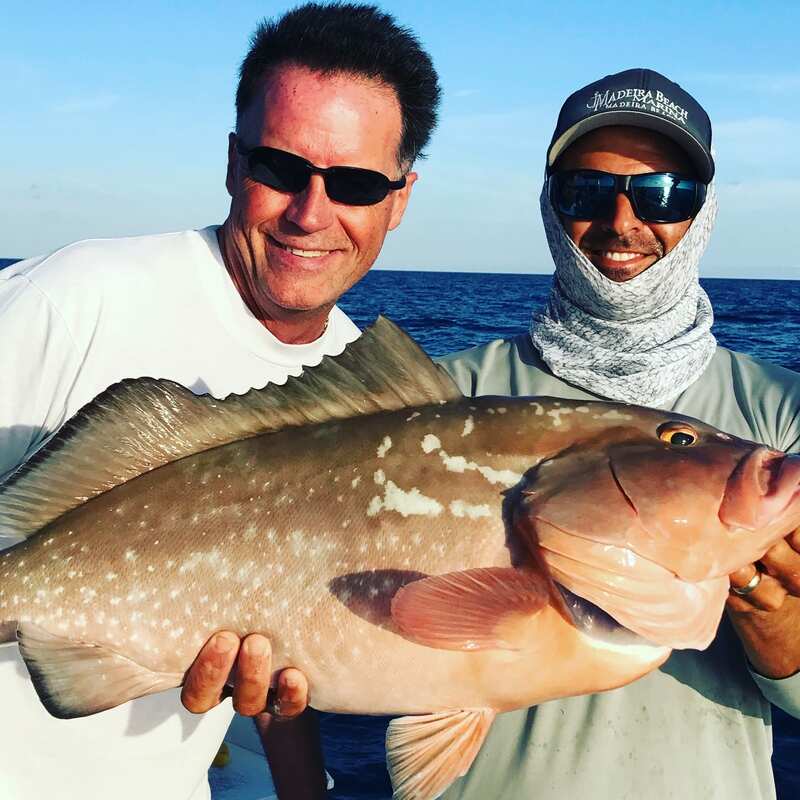 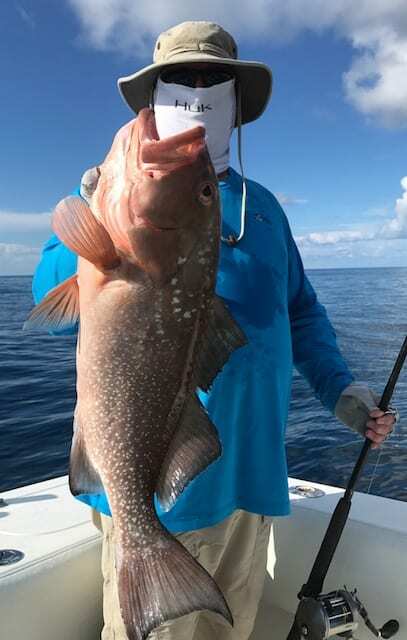 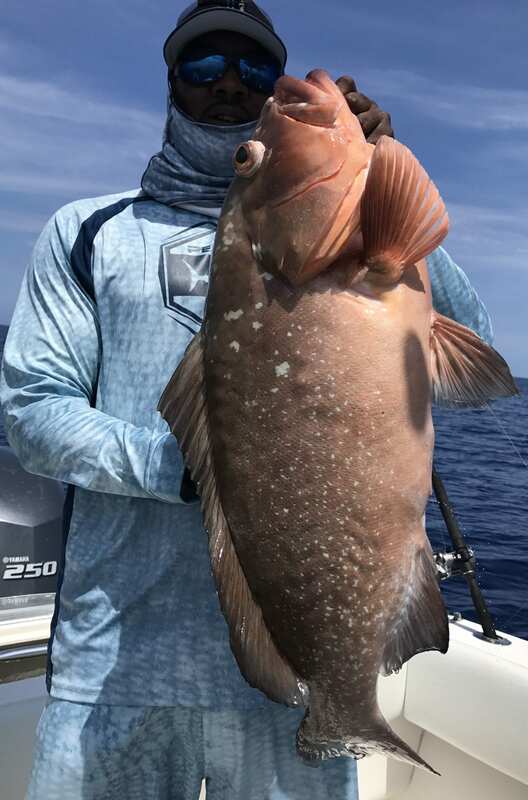 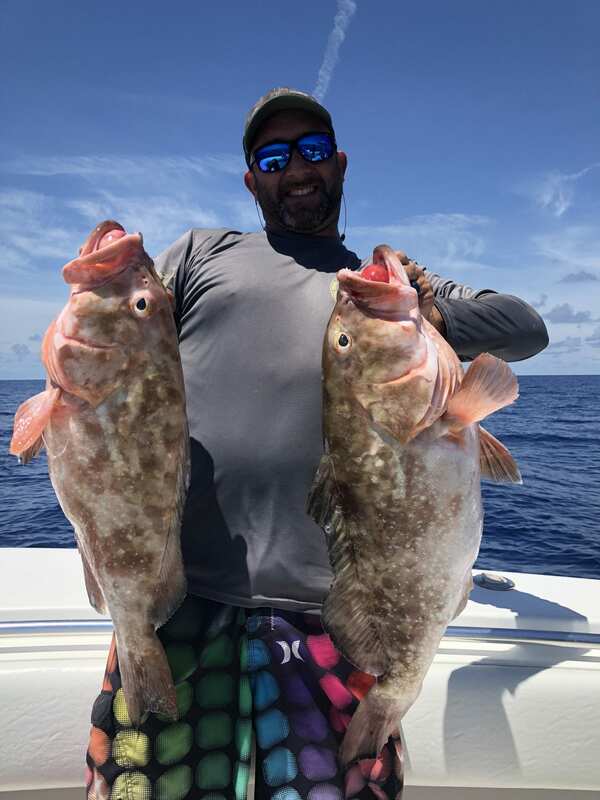 When targeting red grouper, we fish under crevices and ledges in rocky coral reefs, flat live bottom areas, and potholes between a depth of 50-200 feet, our charter boat offers a 3/4 and Full day fishing charter, that can target these areas for the largest fish. Red Grouper will chase a bait occasionally, but by far they prefer to ambush their prey. 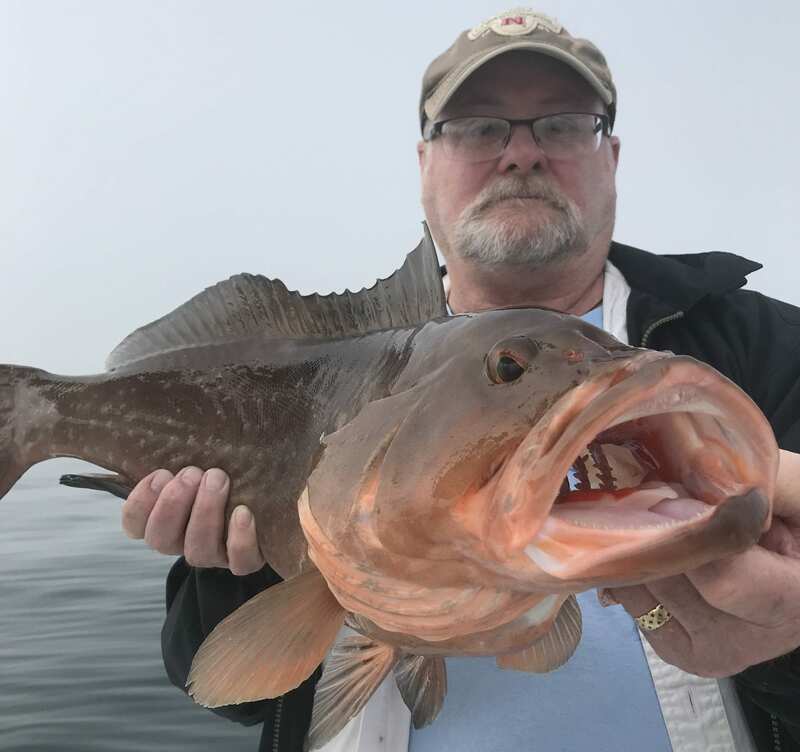 They are typically the “lazy cousin” of the species, often times anglers won’t feel a bite but rather dead weight signaling a red has grabbed it and is just sitting there. 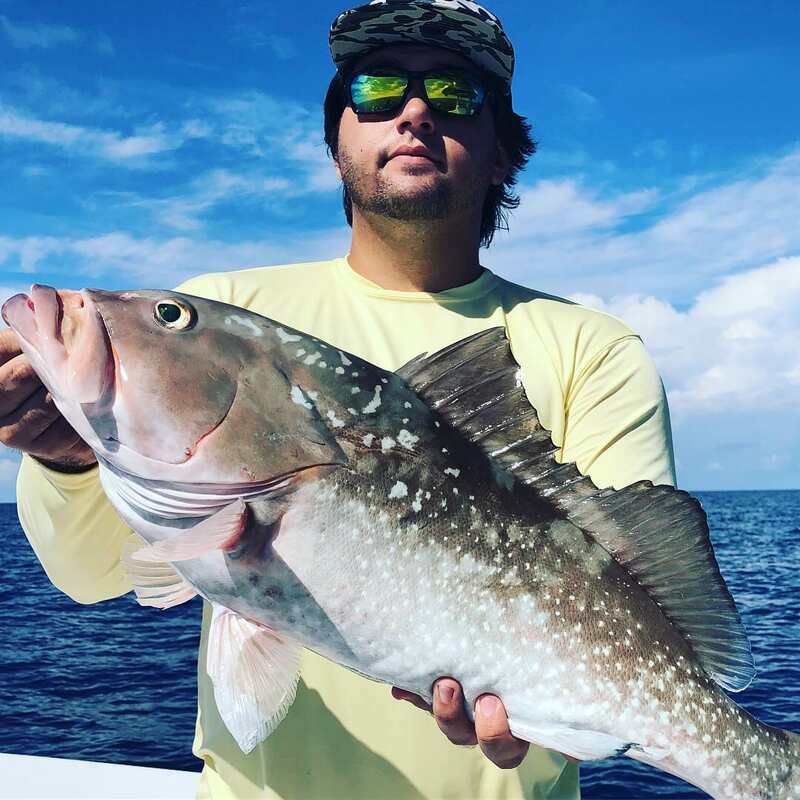 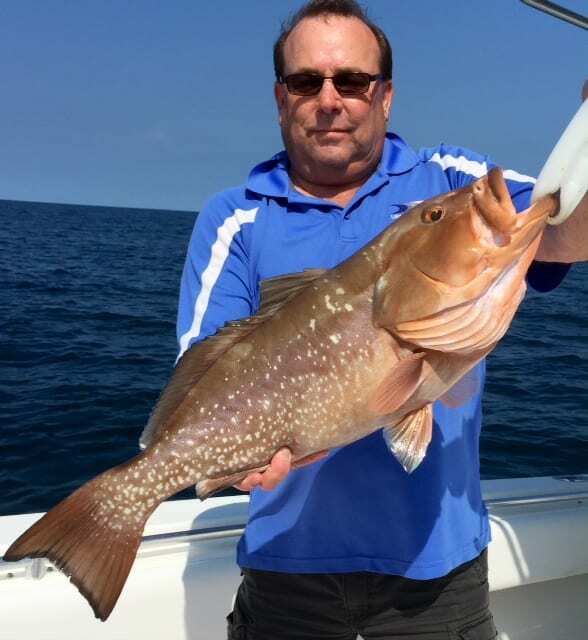 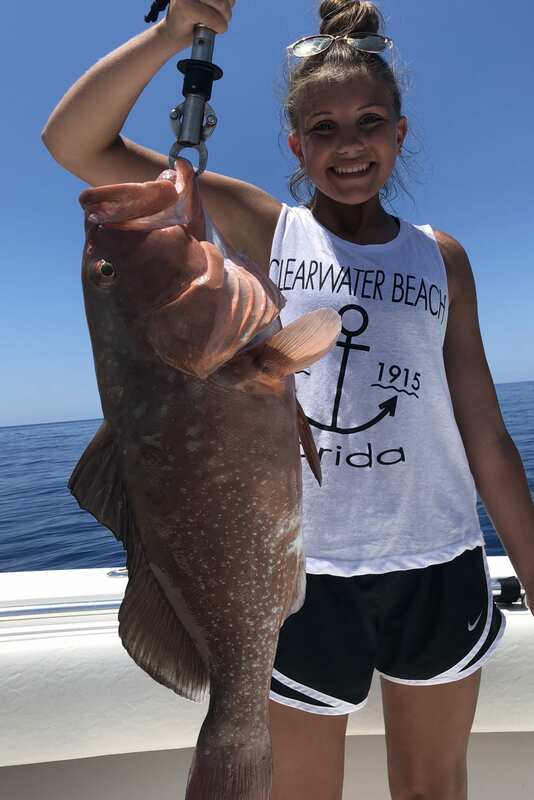 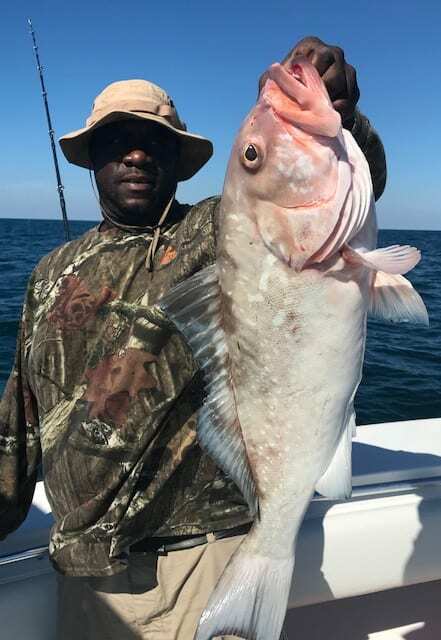 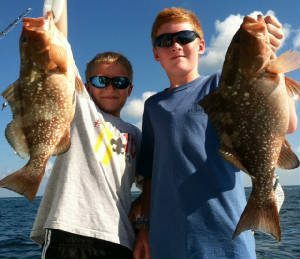 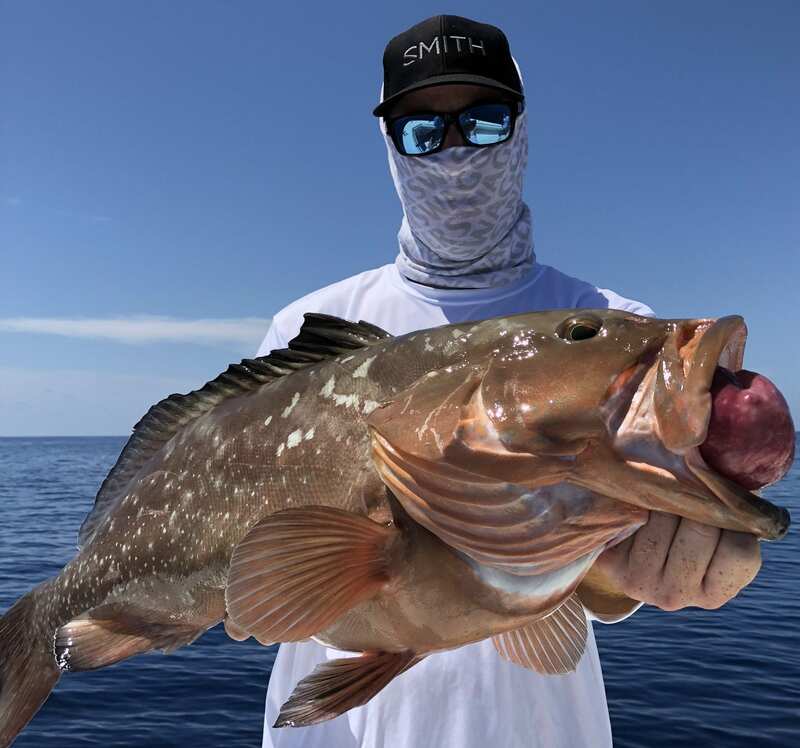 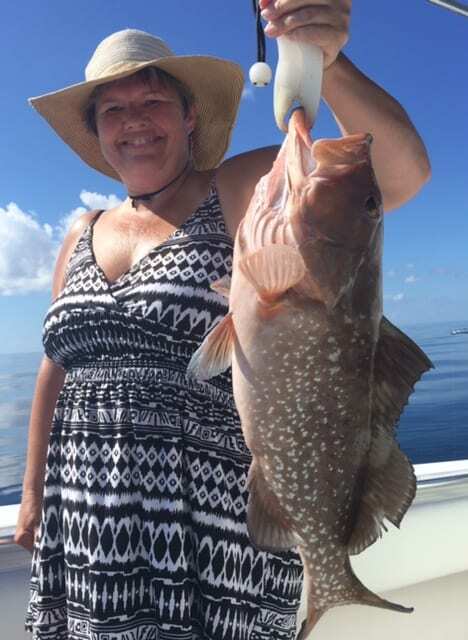 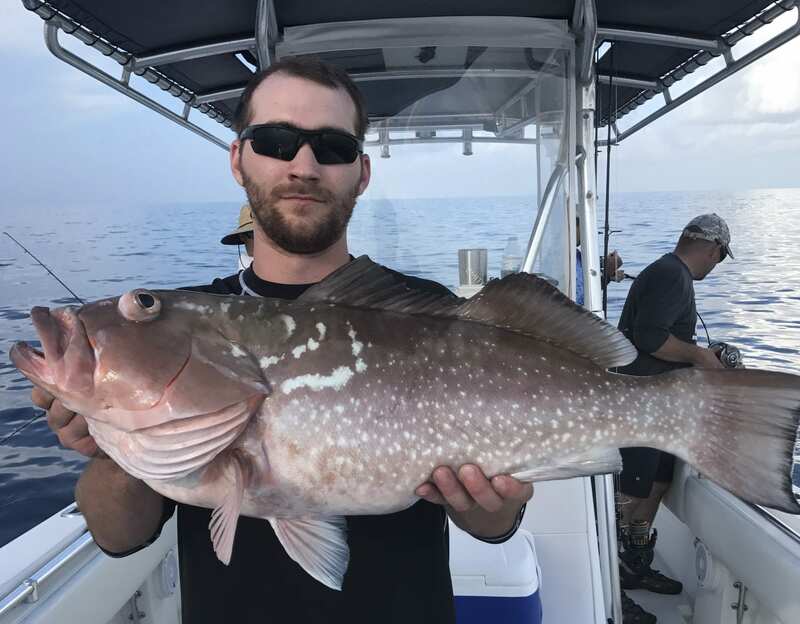 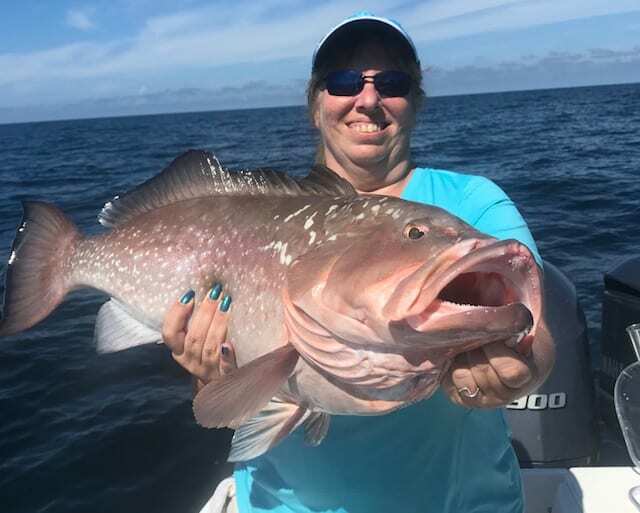 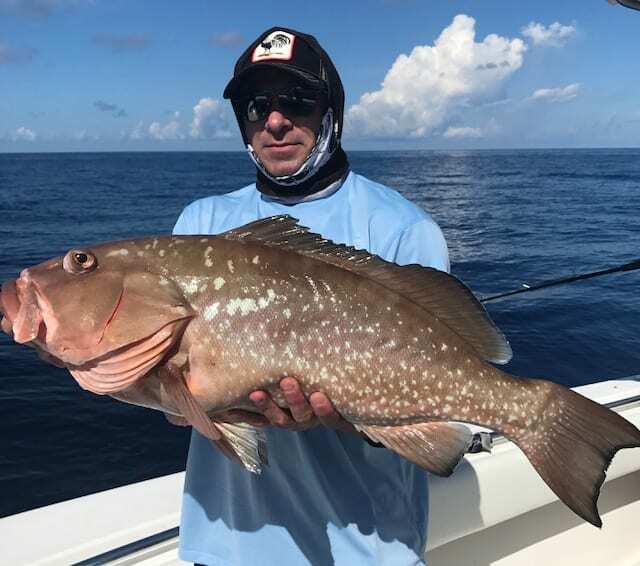 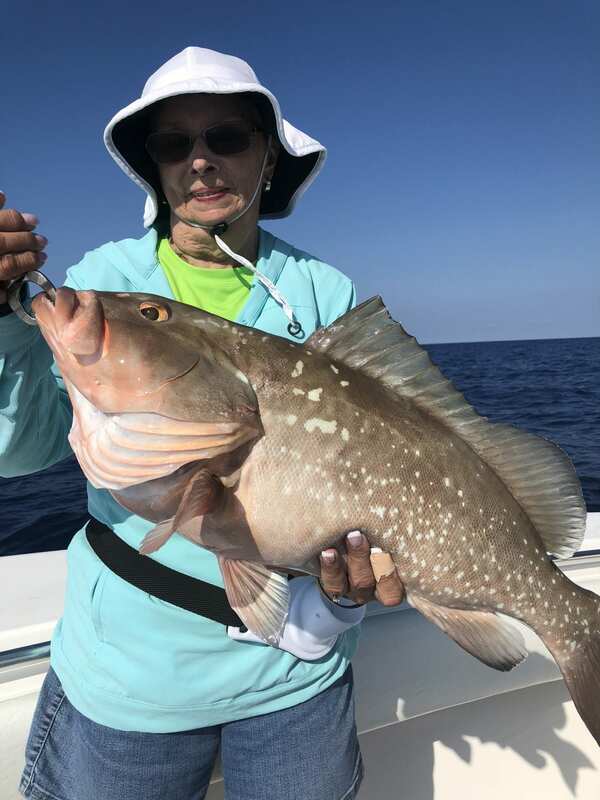 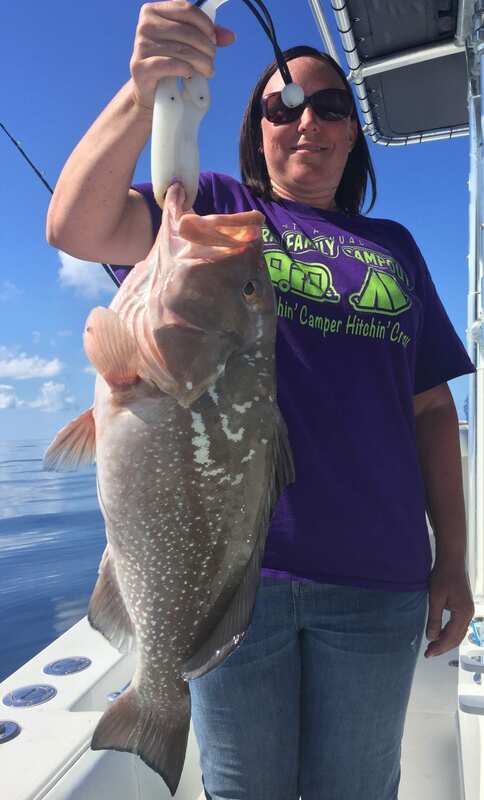 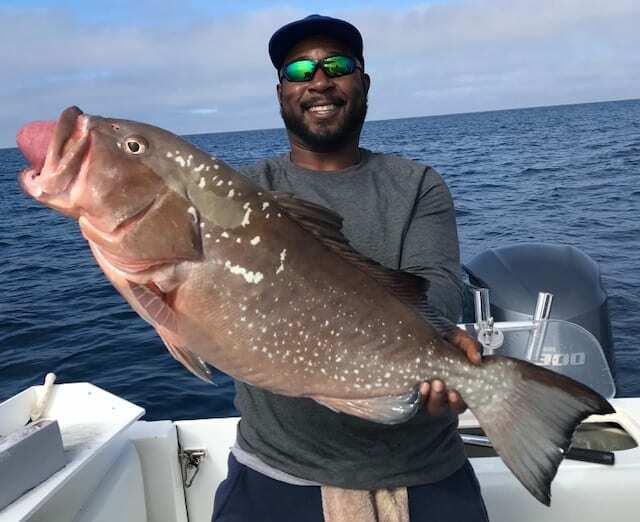 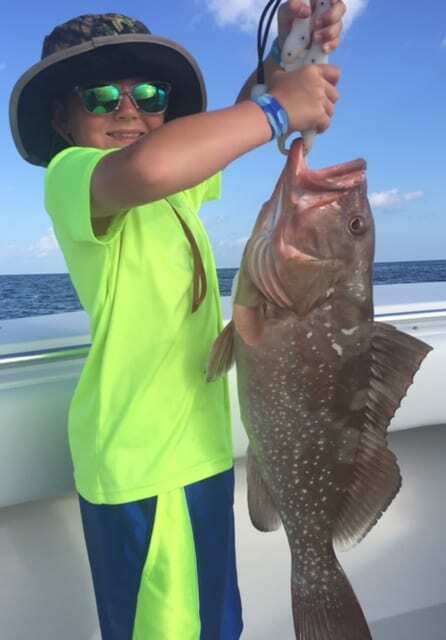 There is additional info and Red Grouper Facts on this link. 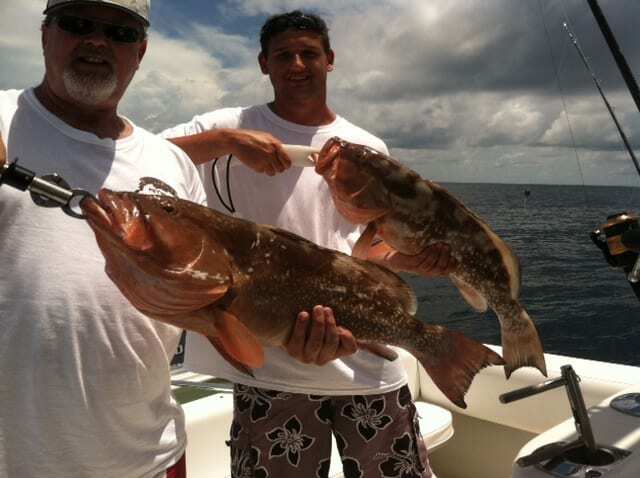 Virtually every species of gulf fish has size limits and harvest seasons.